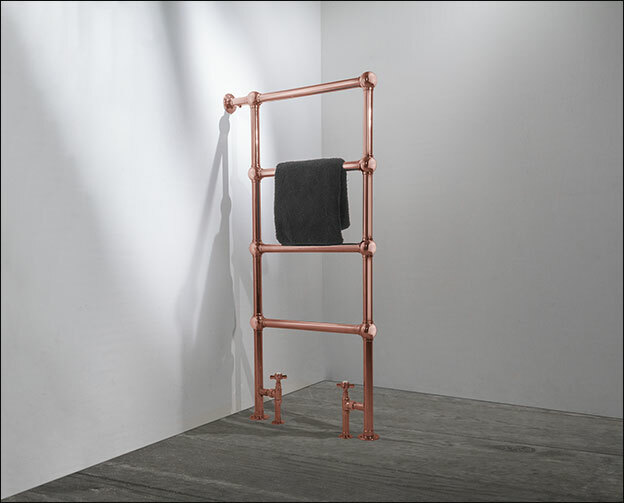 This stylish copper heated towel rail has the unique feature of a side mounting bracket to enable it to fit perpendicular to the wall. 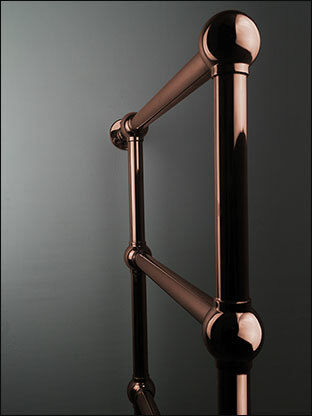 This side-on towel radiator design allows extra hanging space for large, thick towels. 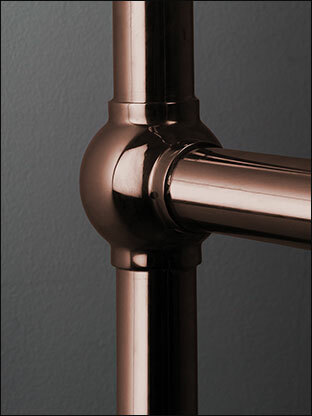 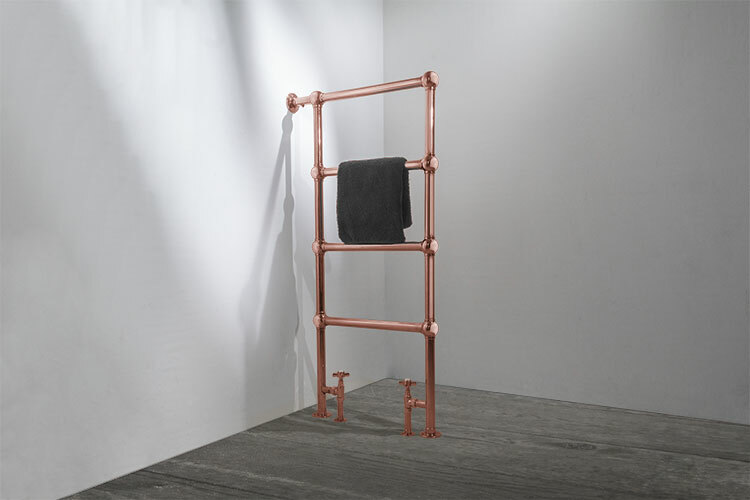 The Copper Henry Towel Rail's freestanding style means it only needs a few centimetres of wall space for installation - a real space-saver for small bathrooms. 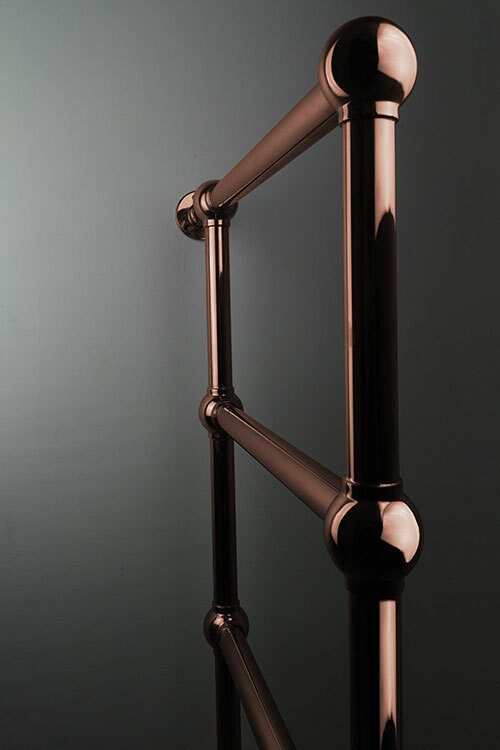 Manufactured in high quality stainless steel, this ball jointed towel warmer is also available in nickel, gold or black chrome finishes. 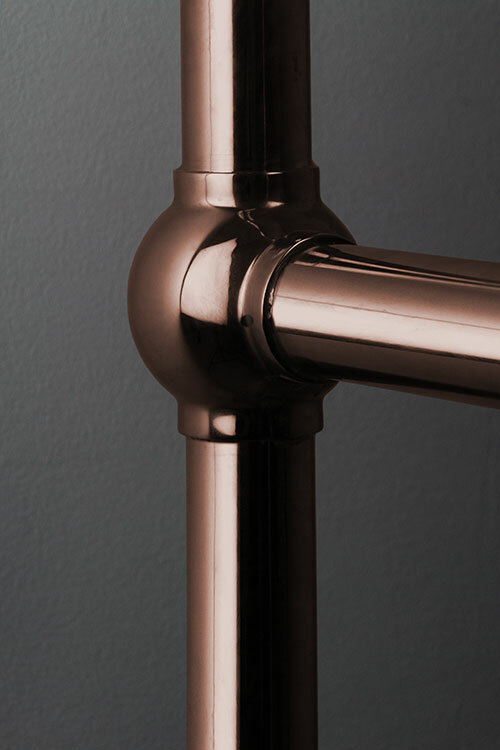 • Installed at 90 degrees to the wall.